- Date: 07/2014, Series A: $3.5 M (post valuation: $10000000). Mighty Cast is the creator of the world's first modular wearable, The Nex Band, geared for the teenage demographic. Originally from San Francisco, Mighty Cast is headquartered in Montreal. The company has won multiple awards and has completed their manufacturing and full development for a Q1 2016 launch. Mighty Cast is the creator of the world's first modular wearable, The Nex Band, geared for the teenage demographic. Originally from San Francisco, Mighty Cast is headquartered in Montreal. The company is venture backed and received the highest award from the Canadian government’s CMF grant and was named Engadget’s Reader’s Choice Award Winner. Mighty Cast was also a finalist in the SXSW Accelerator Competition and named by the CIX as one of the Top 20 Innovators in Canada. The company has multiple patents pending and partnership agreements spanning from AAA licenses such as The Hunger Games to luxury jewelry design companies. 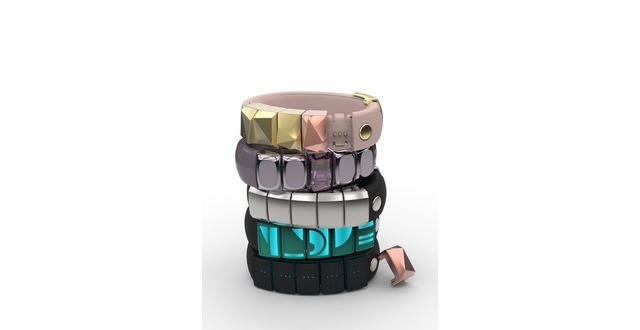 The Nex Band is the world’s first modular smart band for the Generation Z demographic (ages 12-22). Customizable, social, wearable - technology that fully connects you to your world. Stay in touch with what matters to you most, moment-by-moment. Light up your wrist with multi-colored LED alerts when you receive a call, text, email, social media notification and more. The Nex Band is completely personalized with five swappable digital accessories called “Mods” that light up in patterns that you design. It's a brand new language of lights coded by you! Whether it’s a text from your best friend, an Instagram from your favorite musician, or your team just scored the winning goal—whatever the message, you'll stay colorfully connected to what's most important in your world. Mods act as an IoT controller on your wrist allowing you to manage your favorite devices and apps with an infinite number of hacks that you create. The coding possibilities are endless: hack a Mod to light up when a friend is nearby, create custom controls for your Spotify library, or double tap to open your garage door - all at the touch of a Mod. Capture your story, reflect your style, and share content with friends simply by swapping Mods from one band to the next. Share pictures from important events, exchange fitness routines, or take gaming to the next level—all with the power of Mods.